ATTIC ANTIQUITY DOLL HOSPITAL specializes in composition restoration. We repair dolls of all types, including: cloth, leather, papier mache, wood, composition, hard plastic and vinyl. We restore Mattel talkers.....Chatty family, Mrs Beasley and others. Dorothy Meredith and husband, Mike, lovingly and professionally restore dolls in Dorothy's shop/studio, in the Central Texas. Our goal is not to make an antique appear new, but to restore damage while preserving as much of the original as possible. A restoration of this type should appreciate, rather than depreciate, the value. Dorothy received both a 1st and 2nd place award from the National Doll Doctor's Association in 2004 in their restoration competition. 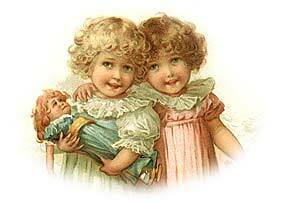 When your doll arrives for restoration, you will be given a written estimate of cost and time involved. Each "patient" is tagged, cataloged and placed in a labeled container to await his/her turn. We handle all of the restoration ourselves, never entrusting your family heirlooms to others. Dorothy has been restoring and repairing dolls since the early 1980s, ensuring that you will be pleased with the professional care you will receive. Husband, Mike, works full-time outside the studio, but has a good eye for detail and much experience in woodwork, which is very helpful with the composition restoration. Please don't hesitate to call or email with your restoration needs. We will be happy to advise you on the best way to package and ship your little patients to us. When they arrive, we will mail or email you a written estimate on repairs. We will promptly return all calls and emails. For minor repairs, we recommend Sandra Lee Products.